Classification folders are made of 100 percent recycled material with 30 percent post-consumer material. 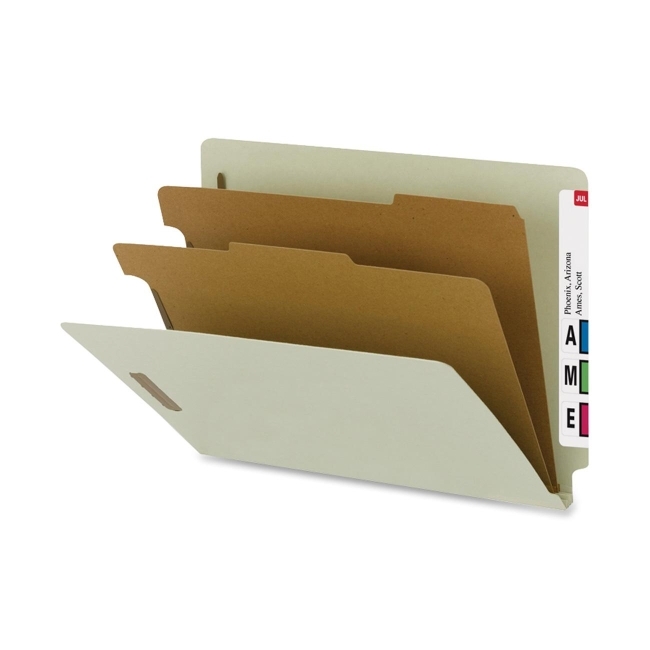 Dividers with tabs and fasteners on both sides let you store information under several subdivisions, and fasteners on the front and back panels add two more filing surfaces. Design creates six separate filing surfaces. Sturdy Tyvek gusset expands up to 2". Pressboard covers provide strength and durability. Dividers are made of 100 percent recycled material with 80 percent post-consumer material.